InfraRed Associates, Inc. offers an additional cooling option for our Infrared Detectors. Stirling Cycle Cooled Detectors are offered in three different design packages allowing operation down to 75K, when required. 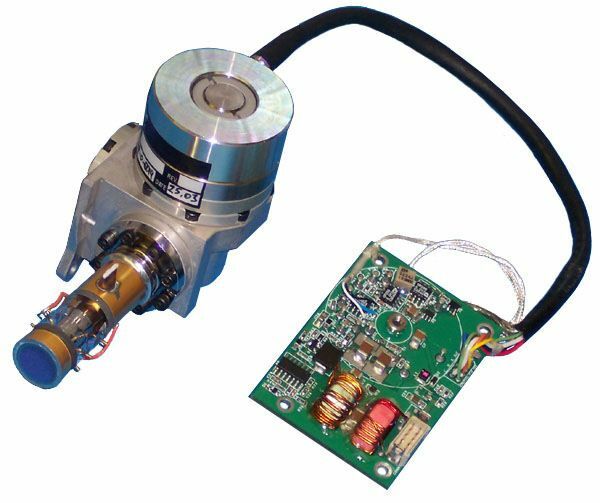 This option eliminates the need for Liquid Nitrogen cooling and is ideal for remote or unattended operation. K508 Integral Stirling Micro IDDCA: The K508 Microcooler design model is solidly based on the concepts of direct detector mounting on the cooler's cold finger, and integral construction of cooler and dewar envelope. 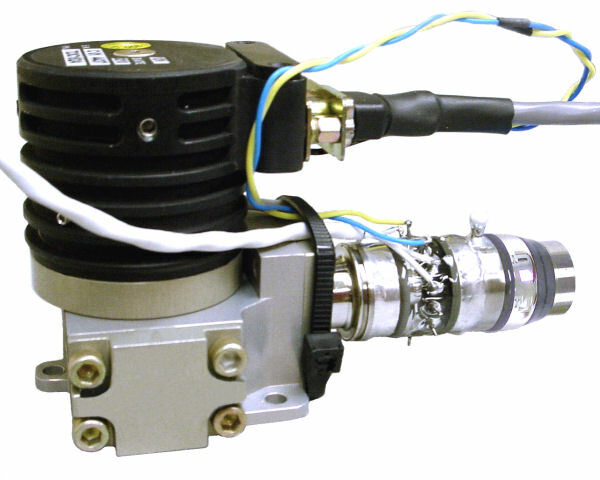 Operation of the integral Stirling microcooler, driven by a DC brushless motor, is clean, silent and highly reliable. Model K508 has been in service since 1994. This cooler is extensively used in many commercial instruments. The Micro IDCA model K508 contains an onboard temperature controller, which offers standby, remote shutdown and over-temperature /over-current protection options. 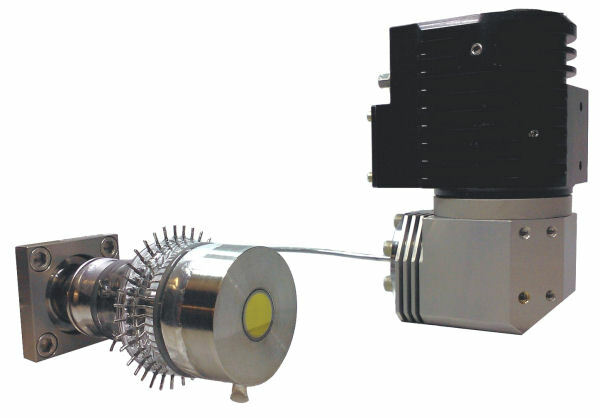 By adopting various types of dewar envelopes, this microcooler can meet the cooling demands of most advanced IR detectors. Steady State Input Power (220mW @77K @23°C): 7W Typ. Cooldown Time (250J @23°C): 5 Min. Typ. 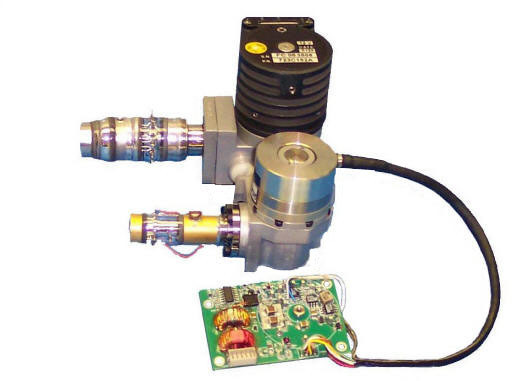 K561 Integral Stirling Low Power Micro IDCA: This model was specially developed in order to meet hand-held thermal imagers applications requirements, where compactness, low input power and cooler lightweight are most important parameters. Steady State Input Power(170mW @80K @23°C): 4.5W Typ. Cooldown Time (190J @23°C): 5 Minutes Typ. K549 Split Stirling Cryocooler: This cooler combines the famous reliability and rigidity of our microcooler family with the split configuration for compactness and better control of heat rejection and vibrations. Cold finger/dewar assembly identical and interchangeable with model K508. Built-in electronic module contains closed loop temperature controller and various options for motor stator configuration motor voltage and accessories. Steady State Input Power (220mW @77K @23°C): 9W Typ. Cooldown Time (150J @23°C): 2:15 Minutes Typ.